Missed the Fiat product reveals earlier this week? Here's your chance to see the full event before it goes off line. Make sure you check out the new video shorts! They are perfect for an Italian car, but are they too risque' for American television? I hope not!! Make sure you watch this because it may not make it past the censors! Watch the full video and you'll see what I mean! 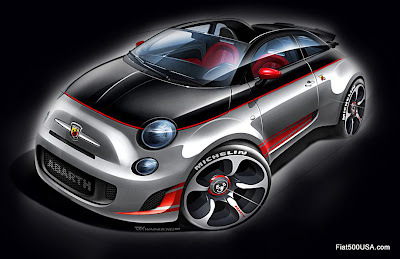 Can't make the 2012 LA Auto Show to see all the new Fiats? No worries, Michael Passage, noted Fiat Brand Ambassador and the good folks at Fiat of Los Angeles sent us some candid shots of the Fiat product reveal done yesterday at the LA Auto Show. 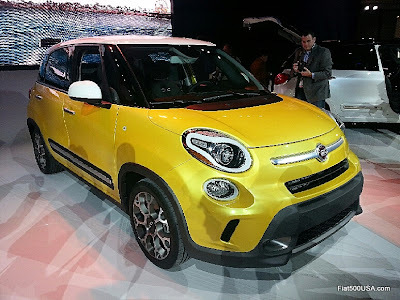 Fiat always puts on a great event, and the press was all over the new Fiat 500L, 500e and of course, the new Fiat 500c Abarth Cabrio. If you're in the LA area, make sure you stop by Fiat of Los Angeles at Motor Village and say hi to the great folks there! 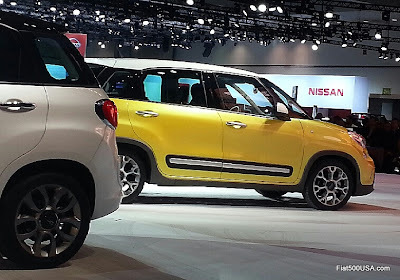 Here are some fresh images of the new 2014 Fiat 500L just unveiled at the LA Auto Show. Courtesy of our good friends at 500 Madness! 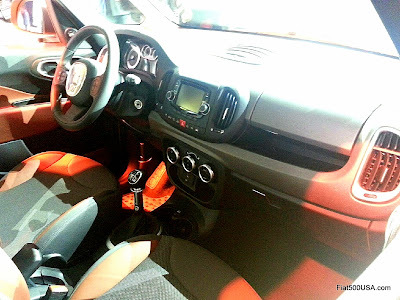 First shot of the 2014 Fiat 500L Trekking interior! This looks like a shot of the 500e seat! Can't wait to see more of this car! Let's thank Boris and his team at 500 Madness for sending us these pics! 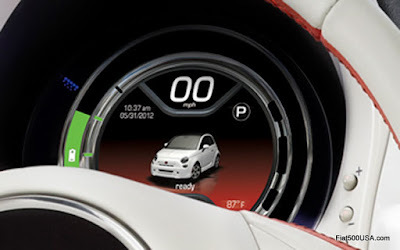 Watch the new 2013 Fiats unveiled at the 2012 Los Angeles Auto Show today! The live show begins at 3:35 p.m. EST today with a video recap at 5:30 p.m. EST. Make sure tune in early to get a good seat! 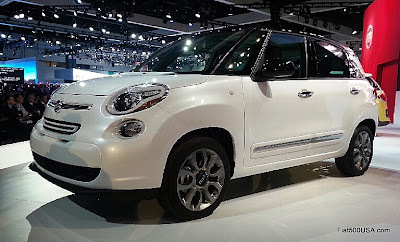 The stylish Fiat 500L will hit Fiat Studios sometime in the middle of 2013. While you wait, here are the complete specifications to help you get familiar with this versatile car! 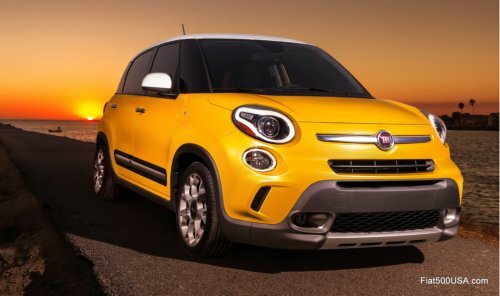 Read all about the Fiat 500L here. (a) Meets Federal Tier 2 Bin 5 emission requirements and LEV II requirements in California, Massachusetts, New York, Maine, Vermont, Connecticut, Pennsylvania, Rhode Island, New Jersey, Oregon and Washington. (a) All dimensions measured at curb weight with standard tires. More than 80 miles of estimated range, with city driving range typically greater than 100 miles. An estimated 116 miles per gallon equivalent (MPGe) city and 100 MPGe highway battery-only electric power and zero emissions from a single charge. 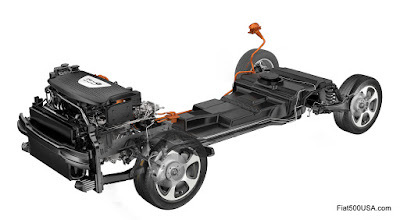 111 horsepower (83 kW) /147 lb.-ft. (200 N•m) torque electric-drive motor. 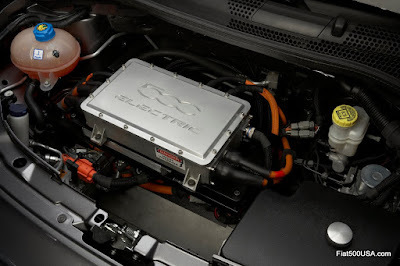 24 kWh hour liquid-cooled/heated 97 cell lithium-ion battery pack. Power inverter module (PIM) for DC-to-AC and DC-to-DC. Unique “creep” feature mirrors conventional powertrains. Regenerative brake system featuring larger vented front discs. Staggered wheel widths for added stability and nimbler handling: front 15x5.5 /rear 15x6.5. 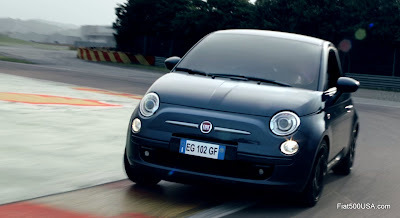 Revised front-to-rear weight distribution (57/43 compared to Fiat 500’s 64/36) improves handling performance. Improved Noise Vibration Harshness (NVH) package includes many refinements like new acoustic windshield glass and new gaskets between the mirror flag and door reduce interior noise levels. 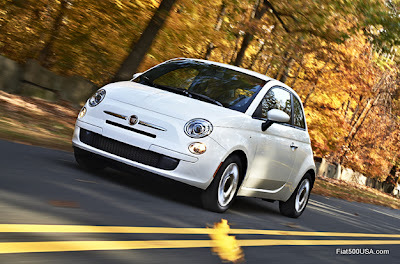 The new 2013 Fiat 500e brings Italian flair and fun to drive characteristics to the typically dull and appliance like electric car segment. 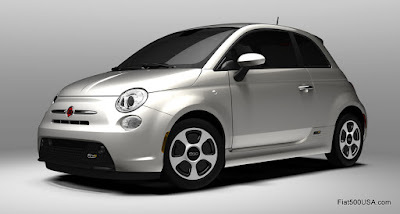 The Fiat 500e is easily the most attractive affordable electric car on the market today. 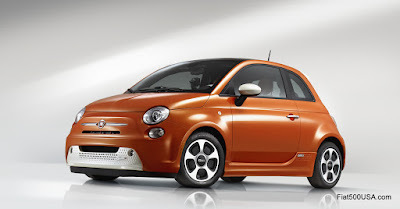 The new Fiat 500e electric vehicle has been in the works for some time. I first ran the story of the 500e back in January 2010. At the time, the car was called the 500EV and almost seemed like an afterthought, however the car debuting today turns out to be anything but. 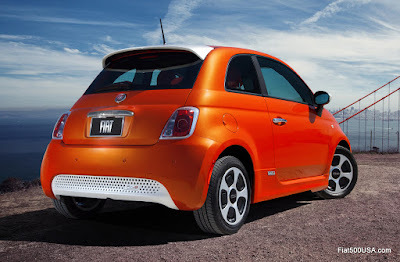 The car has been developed and engineered by Chrysler in Auburn Hills, and benefits from a long lead time and extensive aerodynamic refinements resulting in a 13% improvement in the coefficient of drag (Cd) over the conventional Fiat 500. Over 140 hours of wind tunnel testing enables the 2013 Fiat 500e to achieve a 0.311 Cd compared to a 500 Lounge model's 0.359 Cd. In the real world, all this work translates into an additional 5 miles of range. Outwardly, the Fiat 500 E is distinguished from the regular Fiat 500 by a unique front and rear fascia and side skirts. These fascias incorporate a dot-matrix design Fiat says was inspired from 1960s Italian furniture and print designs. 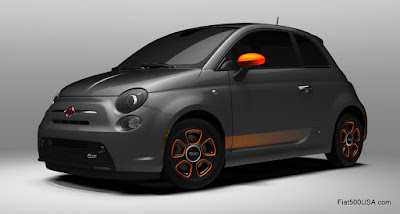 Those design elements, along with Electrico Arancione (Electric Orange)accents, gives the 500e a surprisingly futuristic yet retro look, if that makes sense. The 500E logos displayed on all four corners are a nice touch. Nero (black) dot-matrix with body colored mirror caps and spoiler. This is combined with Argento (silver), Grigio (gray), Bianco Perla (pearl white) and Nero exterior paints. Interior is in Nero. Dot-matrix, mirror caps and spoiler are in Bianco Perla. Erterior colors are Argento, Grigio, Bianco Perla, Nero and exclusive Electrico Arancione Perla. A Steam (white) interior is used. 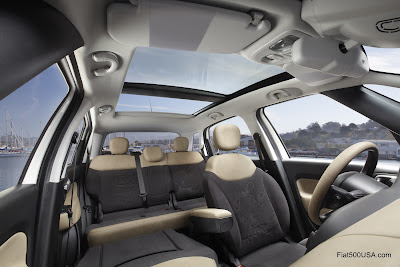 The interior of the Fiat 500e is bright and airy and continues with the retro/futuristic look. 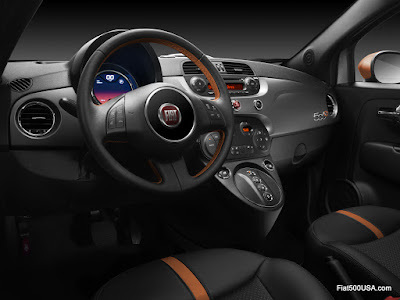 The combination leatherette and cloth trim is in Cream or Nero with more Electrico Arancione (Electric Orange) accents on the seats and steering wheel. An all new 7 inch thin-film transistor display uses full-color graphics to report driving range and state of charge, along with other important functions. 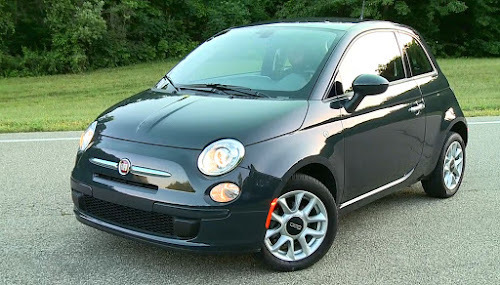 The 2013 Fiat 500e offers an attractive sport package I predict will find its way onto conventional Fiat 500s because it looks that good. This may be the first time an enthusiast would want their car to resemble an EV! The e-Sport package consists of Nero dot-matrix front and rear valances along with blacked out headlights, parking and tailights. Electric Orange striping and trim and black painted alloys gives this special 500e a look like no other electric car has. 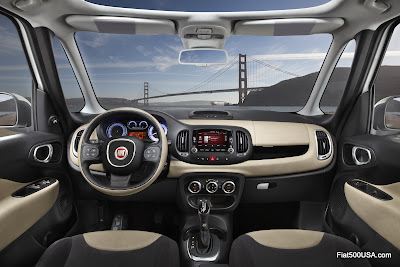 Expect to see the new 2013 Fiat 500e in California Fiat Studios in the second half of 2013! 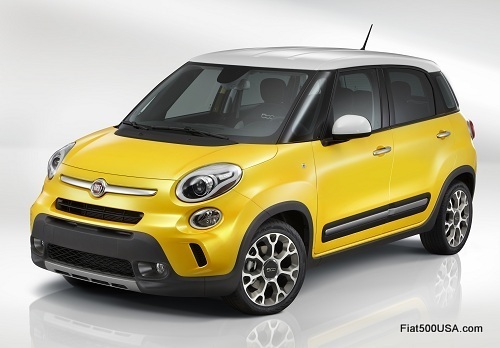 Fiat USA is pulling out the stops this year at the LA Auto Show with the unveiling of three new models - the Fiat 500E, the Fiat 500L and the much anticipated Fiat 500c Abarth Cabrio. Here's a quick look at them. Don't worry, I'll have all the details as we go through the day, so keep checking back! 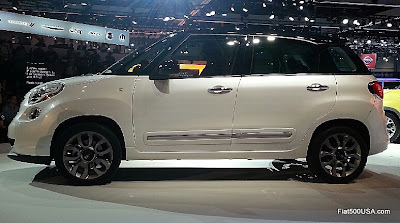 Compared to the Fiat 500, the Fiat 500L is 26 inches longer and has 6 inches more height and width. The results: 42 percent more interior space and an EPA Large Car size interior with best-in-class headroom and front legroom. Segment-exclusive glass A- to D-pillars that provide nearly 360 degree panoramic views. New “small-wide” chassis architecture provides world-class torsional stiffness, driving dynamics and crashworthiness. Segment-leading interior quietness, thanks to structural rigidity and a specially designed quietness package for the North American market. 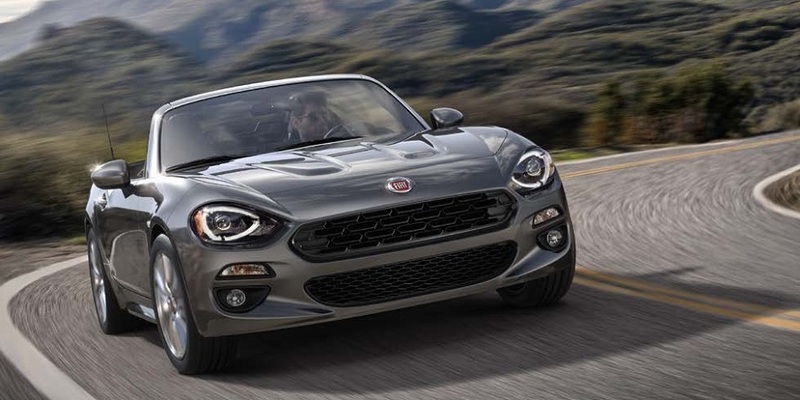 Touring-tuned suspension delivers traditional Fiat fun-to-drive factor along with comfort. Peak boost pressure of 21 psi at 4,000 rpm. 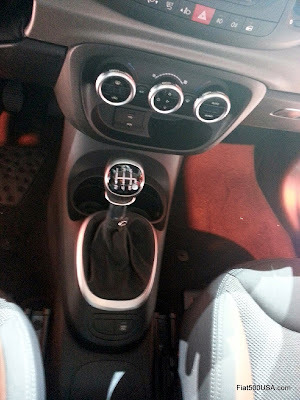 Segment-exclusive six-speed dual dry clutch transmission (DDCT), or six-speed manual transmission. 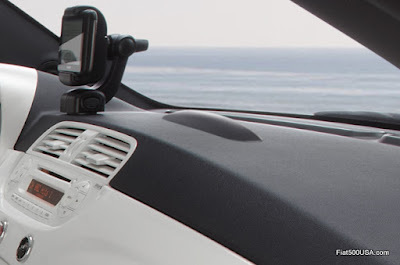 Cutting edge handsfree communication, entertainment and navigation with available 5 or 6.5 inch touchscreen display. 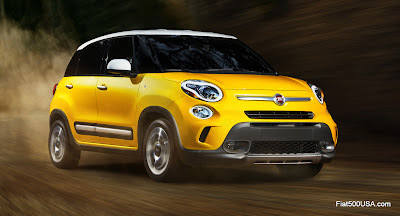 Fiat 500L Trekking offers rugged capability with enhanced 4x2 traction system. Tested over 7.5 million miles and built in one of Europe's most modern car factories. 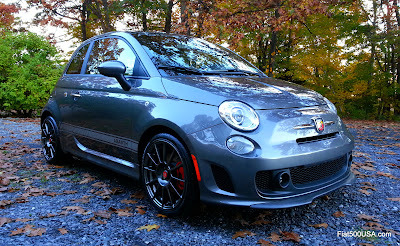 Fiat 500c Abarth: It's Finally Here! 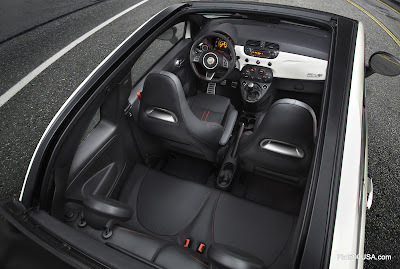 The four-passenger Fiat 500c Abarth cabrio has the most interior space, rear-seat legroom and shoulder room among key competitors. Fiat 500c Abarth’s power-operated cloth top retracts up to the rear spoiler during speeds up to a best-in-class 60 mph (a midway point can be chosen by pressing the button anytime in between). Press the roof button again, and the roof will neatly fold all the way open and tuck neatly behind the rear head restraints (up to 50 mph). 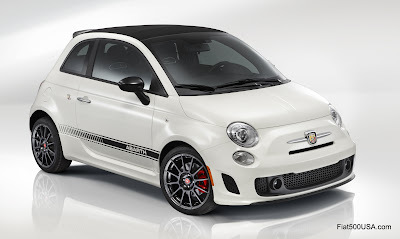 Fiat 500c Abarth's roof design adds structural strength and 70 percent less header shake than key competitors. The unveil is happening today at 3:35 p.m. EST. 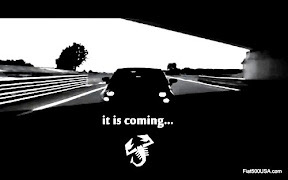 Make sure you come back to Fiat500USA.com to watch the unveil live! 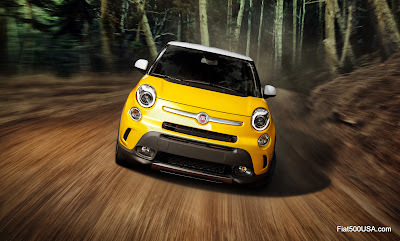 Watch the live debut of the new 2013 Fiat 500L, 500e and 500 Abarth Cabrio here tomorrow afternoon, I'll be running a live feed from the LA Auto Show starting at 3:35 p.m. EST. If you can't make it, there will be video highlights at 5:30 p.m. EST. Don't miss these exciting debuts! 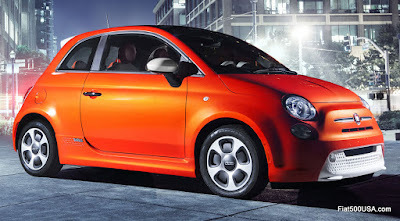 The one millionth Fiat 500 rolled off the assembly line in Tychy, Poland this past Monday. The modern day Fiat 500 was introduced to the world on July 4, 2007, and since this time has won the hearts and minds of people from all over the world who appreciate Italian design. The Fiat 500 is now sold in over 100 countries and has won over 40 international awards. Come celebrate this event as we take a brief look at how the Fiat 500 achieved this milestone. Follow the links to get the full picture! The Fiat 500 began life in 2004 as a design exercise called the Fiat Trepiùno and took inspiration from the 1957 Fiat 500; the car that brought affordable automotive transportation to the masses in Italy. 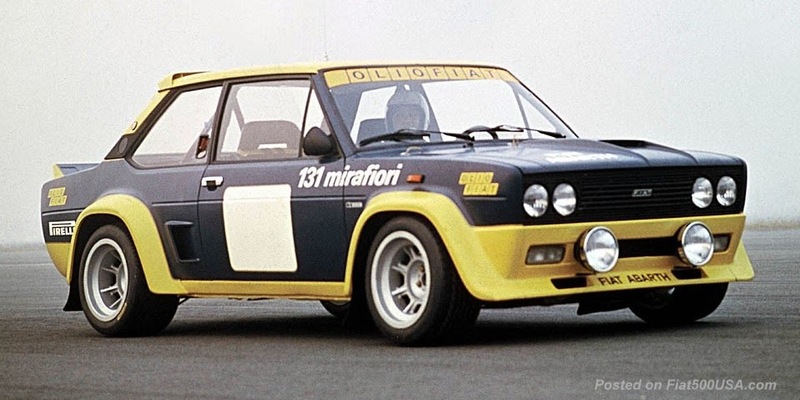 The Trepiùno drew so much recognition and praise that Fiat gave the go-ahead for a production version. For the first time in automotive history, the general public was solicited over the internet for their ideas and suggestions for this tribute to the iconic Fiat 500. The results were outstanding. A remarkable 3 million suggestions poured in from those who registered on the Fiat 500 Wants You website, many of which were incorporated into the design of the new Fiat 500. The Fiat 500 is truly "The car for the people, by the people." 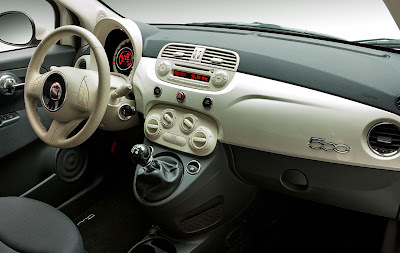 Besides being a superb example of Italian style and showcasing Fiat's undisputed leadership in small car design, the Fiat 500 also brings award- winning technology to its segment. The Fiat 500 was the first car its size to earn a five-star crash rating in the Euro NCAP tests, the first car to have seven airbags as standard equipment and the first car to offer advanced Electronic Stability Program (ESP) on all models. The prestigious European Car of the Year crown in 2008. World Car Design of 2009. The 500's TwinAir engine won the 2011 International Engine of the Year award. The Fiat 500 has been an enormous sales hit, being a consistent number two in its segment right behind the best-selling Fiat Panda. An interesting statistic is in its first year and a half of sales, the Fiat 500 racked up approximately 186,000 registrations. It took the 1957 Fiat 500 four years to achieve 180,000 sales. This car would go on to achieve 3.5 million sales in its seventeen-year run. In addition to being a best-seller in Europe, the Fiat 500 has also won its segment here in this country. 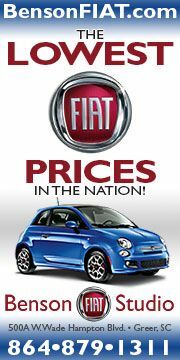 Since 2011, there have been 73,000 Fiat 500s registered in America, 42,000 of which have been done in the first 10 months of 2012. This makes the Fiat 500 the best selling car in its class. 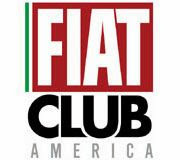 Criswell Fiat of Gaithersburg, Maryland is one of the nation's top Fiat Studios and has been a staple in their community for more than 40 years. Throughout the year, Criswell Fiat sponsors and supports various community events and happenings. Our friends at Criswell Fiat are kicking off the holiday season by sponsoring the 10th annual Frosty Friday event in town of Frederick, Maryland on November 23rd. During Frosty Friday, downtown Frederick becomes awash with live entertainment, holiday music and fun events to get everyone into the season's spirit. Frederick retail shops will be open late giving away treats, a hot chocolate station will be working from 9am-9pm, and carriage rides will go all over town taking you from one spot to another. 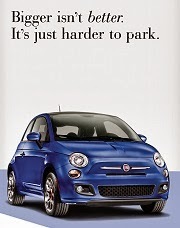 Criswell Fiat will be showing off the new Fiat 500 to downtown guests, so don't miss this enjoyable event. 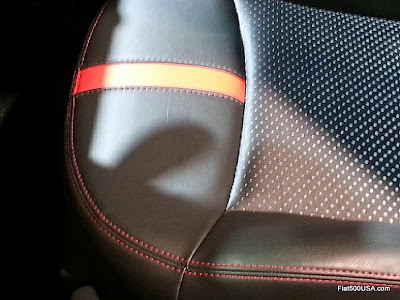 Fiat teased us with images of the new Fiat 500e, set to debut next week at the LA Auto Show. 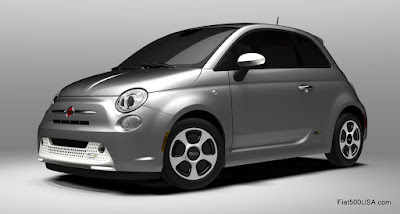 The Fiat 500e is the all electric version of the 500, developed in house by Chrysler engineers in Auburn Hills, Michigan. The powertrain for the Fiat 500e is said to consist of three main systems: a high power electric module, an innovative lithium ion battery and an EV control unit to manage power fluctuations. Range has been speculated at somewhere between 100 and 200 miles. 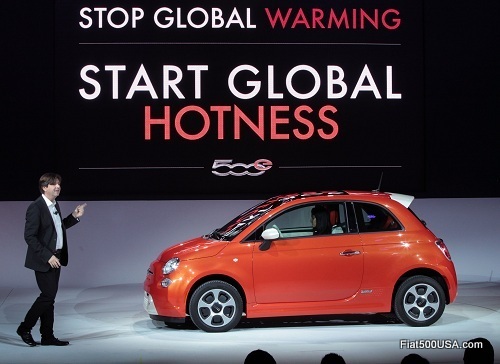 The primary market for the Fiat 500e is California, whose state law requires zero emission vehicles to make up a certain percentage of a car manufacturer's yearly sales. 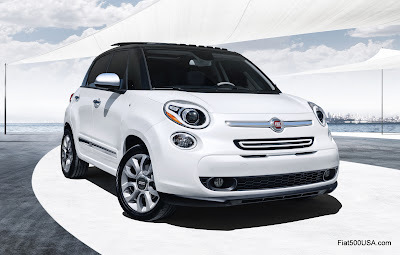 To meet this sales goal and be competitive in the marketplace, Fiat will wind up losing approximately $10,000 on each 500e sold*. This is according to Sergio Marchionne, CEO of both Fiat and Chrysler. 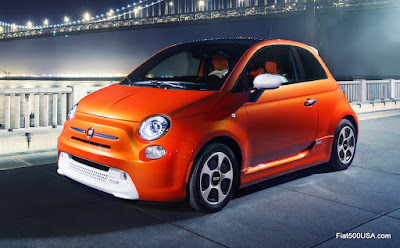 The Fiat 500e will go on sale in California next year, with a rumored price tag between $30,000 - $35,000. 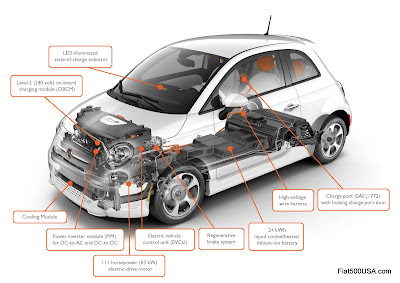 This image from preliminary info on the Fiat 500EV first published in January 2010.